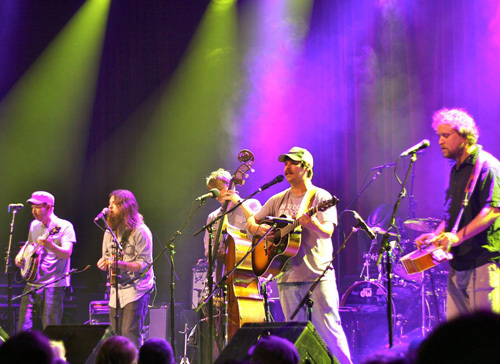 One of the hottest bands in the bluegrass and jamband scene, Greensky Bluegrass never seem to stop touring. 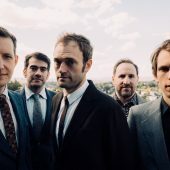 As evidenced by their three appearances at last week’s Telluride Bluegrass Festival, the band is working hard in support of their latest release, Handguns. 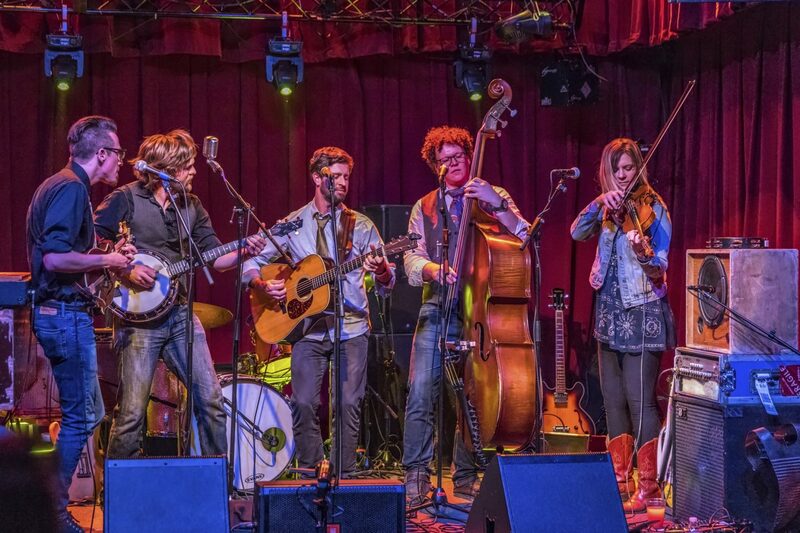 Cover Me has gotten our hands on a great live recording of Greensky Bluegrass performing hits from the 80s. It was a special Halloween show where fans of the band got to choose and vote on which songs they would play. Recorded live on Monday October 31, 2011 at the Fox Theater in Boulder, CO. Taped by and thanks to Phil Rollins. Download and Enjoy! After opening the show with the obligatory Halloween cover of “Thriller”, Greensky gets the crowd moving with a ripping take on Michael Jackson’s classic. The song opens and closes with the familiar “Do do do do do do do dodo dododo dodo” of the 1982 new wave hit by Duran Duran. In between the band showcases their skills one of the more epic jams of the evening. The 1989 Grammy winner for Best Rap Performance by Young MC is laid down funky featuring a break-down bass solo. The moment the mandolin picks those first notes, you know exactly what’s coming. The familiar riff of ZZ Tops‘ 1982 track, a heavy MTV favorite features Anders Beck on the Dobro. In what is possibly the crowd fave and fun moment of the night, Ray Parker Jr.s’ theme song gets the call and response treatment, bluegrass style. MP3: Greensky Bluegrass – Eye Of The Tiger (Survivor cover) What would an 80s cover night be without Survivor’s theme to 1982’s Rocky III? The most surprising cover of the evening is the #1 early 80s hit by Australia’s Men at Work. Featuring guest violinist Adam Galblum, the song works great as a bluegrass track. The 1980 pop-country hit, changed Eddie Rabbit from a somewhat obscure songwriter to a chart-topper. 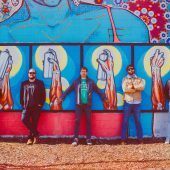 The song is a natural fit for the Michigan country sound Greensky puts out. The encore is the penultimate show-closer. The crowd lifts their lighters (or cell phones these days) and waves in unison to Poison’s 1988 power ballad. Get more info on Greensky Bluegrass on their website.